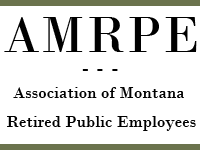 AMRPE’s mission is to enhance and protect pensions for Montana public service retirees. To fulfill our mission, AMRPE Board members advocate with the State Legislature and the Montana Public Employees Retirement board (PERB), attend legislative committee hearings and testify on proposed legislation that may affect public retirees. Membership dues allow the Board to employ a professional lobbyist to advocate for retirees by testifying at legislative sessions as well as at interim committee meetings, and advising the Board about issues and trends that may affect retirees. Through membership support, we keep our members informed via a twice yearly newsletter and the AMRPE website. 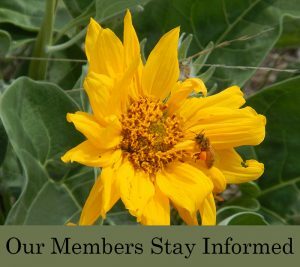 We encourage all retired Montana Public Employees to join our association. If you are already a member, please recruit a friend! Click on Contact Us and we will send information, or Join Online.